Honoring the highest level of leadership, integrity, and character in the lottery industry. Carole Hedinger began her lottery career as deputy director of the New Jersey Lottery in 1994. She became acting director in 2003, serving for a year before moving to the position of chief clerk at the Ocean County Surrogate Court in 2004. Ms. Hedinger served in that capacity for the next six years, where she was responsible for overseeing the court’s guardianship and estate accounting efforts, creating and implementing a comprehensive array of tracking systems and audit procedures to ensure the integrity of the court’s operations. Ms. Hedinger was appointed by Governor Chris Christie to lead the New Jersey Lottery in June of 2010. She brought three decades of experience as a Certified Public Accountant to her new role as Executive Director at New Jersey Lottery. Charged with shaping the future of the Lottery, in FY 2016 the New Jersey Lottery topped $3.2 billion (unaudited) in sales, and more than $965 million in net funds contributed to public education and other state institutions which serve the people of New Jersey. ​Ms. Hedinger maintains professional memberships with the New Jersey Society of Certified Public Accountants where she served in several leadership positions including a term as President in 2011, only the second woman to serve in that capacity in the Society’s more than 100 year history. She is a member of the American Institute of Certified Public Accountants and serves on the AICPA Council. She currently serves as the Region 1 Director for NASPL. Ms Hedinger previously served on Gov. Christie’s Sports, Gaming & Entertainment Transition Team and Gov. Whitman’s Education Transition Team. 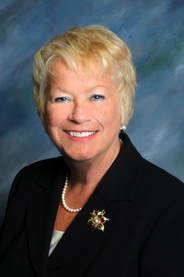 She is the current Chair of the HealthSouth Rehabilitation Hospital’s Community Advisory Board, former member of the Georgian Court University Planned Giving Council and the Board of Trustees for Stockton University of New Jersey, chairing the board from 1997 to 1999. Ms. Hedinger has been a featured speaker at a variety of Lottery conferences as well as both legal and accounting organizations. The Lottery Industry Statesman Award is a special honor that recognizes the most esteemed level of leadership, integrity, and character. It is with great pleasure, gratitude, and humility that his colleagues around the world express our appreciation to John Musgrave for his service to the industry and to us personally. 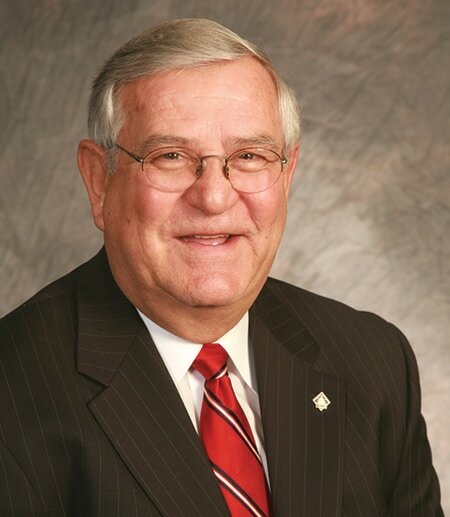 John Musgrave served as the Lottery Director for the State of West Virginia for more than 19 years and has more than 24 years of state service. During his tenure at the Lottery he was re-appointed to lead the Lottery by four different Governors, serving consecutively since 1997. Mr. Musgrave has also served as Acting Cabinet Secretary of Revenue, first in 2003-06, and then again in 2010–11. He was appointed Deputy Secretary of Revenue in 2013, with oversight for the Alcohol Beverage Control Administration (ABCA), Athletic Commission, Racing Commission and the Lottery, and served in this position until his retirement. M. Musgrave’s passion for being on the cutting edge of gaming across the U.S. has positioned West Virginia as a leader in the Lottery industry. West Virginia was one of the first Lotteries in the U.S. to implement and regulate casino operations in addition to traditional lottery gaming. 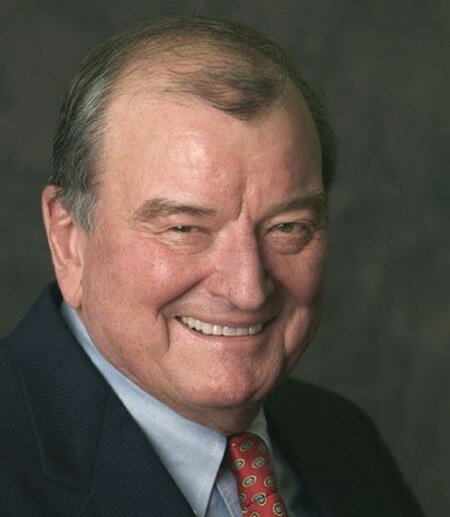 Mr. Musgrave’s accomplishments have been recognized at both the state and national level for many years, most notably receiving the “Distinguished WV Award” by two different Governors, the PGRI Lottery Industry Lifetime Achievement Award, and induction into the Lottery Industry Hall of Fame. Mr. Musgrave also served as President of both the Multi-State Lottery Association (MUSL) and the North American Association of State and Provincial Lotteries (NASPL). When Clint Harris became Minnesota’s second lottery director on October 11, 2004, he did so under circumstances faced by few others in the lottery industry. His appointment followed the death of George Andersen, the Lottery’s longtime director, and the release of an audit critical of the Lottery’s financial and marketing practices. While the initial response to the audit had fallen to Interim Director Mike Vekich, it was up to Harris to implement many of the recommendations, to re-energize a badly demoralized staff, and to continue the rebuilding effort. “We are extremely fortunate to have found such an effective and responsible leader like Clint Harris to head up the Minnesota Lottery,” said Minnesota Governor Tim Pawlenty when he announced his selection of Harris, and the Lottery’s record bears out Governor Pawlenty’s confidence. Harris’ six years at the helm are the six highest for sales and revenue in the 21 year history of the Minnesota State Lottery. Yet Harris’ path to the position was anything but conventional. He was born in New Jersey but spent much of his childhood in the Philippines, where his father worked as an Episcopal priest. When the family returned to the United States, he attended 8th grade in inner-city New Jersey and completed high school and his first year of college in Hazleton, a rural Pennsylvania coal mining community. After moving to South Dakota to be closer to his family, Clint finished his remaining college education at Northern State University in Aberdeen, South Dakota, where he earned a Bachelor of Science degree. He later received a Master’s degree in Business Administration from the University of South Dakota. While working on his undergraduate degree, he also began a 17 year career in the retail grocery business, working for a large independent grocery store in Aberdeen. Harris joined the South Dakota Lottery in 1993 as a research analyst and later became director of administration. He was appointed acting executive director in 2000 and officially appointed to the executive director position in 2003. His four years at the helm in South Dakota resulted in four years of record transfers of revenue to the State. Harris and the Minnesota State Lottery have become known as industry leaders in North America. 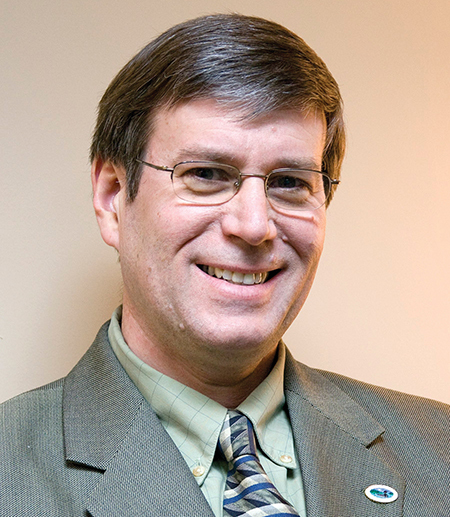 Clint has served NASPL as President, Vice-President, Secretary, and Treasurer. He has also served as President of the Multi-State Lottery Association (MUSL) Board of Directors, Chairman of its Powerball and Hot Lotto Games Groups, and as Vice-chairman of the International Game Group. Under his direction, the Lottery hosted the 2005 NASPL annual conference and in 2007 played host to the WLA’s Key Performance Indicators Academy. Harris has also been a leader in NASPL’s standards initiative and continued Minnesota’s leadership role in corporate social responsibility. During Clint’s NASPL presidency, he oversaw the conducting of the third joint conference with the WLA, World Meet ’07 in Louisville, Kentucky, which was attended by 1400 lottery industry participants. University of Arkansas, where he served as Assistant Professor. Lemons is a former President of the Multi State Lottery Association (MUSL). While President, he led the organization through the development of its first strategic operating plan. He is currently on the executive committee of both MUSL and the North American Association of State and Provincial Lotteries (NASPL). Wayne has been a pioneer in the successful implementation of video lottery games in horse race-tracks. In 1994, the Delaware General Assembly passed Video Lottery Legislation. Lemons has led the Delaware Lottery to become one of the most successful Video Lottery operations in the U.S. Prior to joining the Delaware Lottery, Lemons was Director of Marketing International for Hercules Incorporated, based in Wilmington, DE. Dr. Edward Stanek spent 22 years as a U.S. state lottery CEO for the Iowa Lottery Authority, and subsequently is working as a consultant to major corporations in the lottery supplier and financial investment industries. Dr. Stanek specializes in advising on mergers, acquisitions, joint ventures and the monetization of intellectual property. Dr Stanek has been awarded seven technology-related lottery patents and has multiple patents pending in the U.S. and abroad. He is the co-inventor of Powerball and was a founder of its administering organization, the Multi-State Lottery Association (MUSL). Dr. Stanek has served as President of the North American Association of State and Provincial Lotteries (NASPL), President of the International Association of State Lotteries, and Senior Vice President of the World Lottery Association. He serves as Non-Executive Director of Innova Gaming Group Inc. Dr. Stanek served for more than 20 years on the boards of equity and fixed income mutual funds. 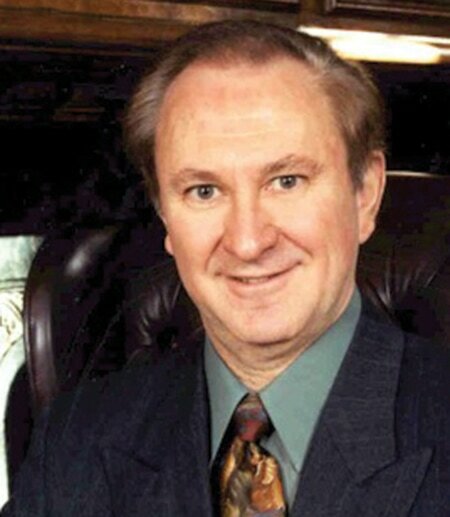 He received the World Lottery Association’s Lifetime Achievement Award in 2010, has been named a member of the Public Gaming Research Institute’s Lottery Industry Hall of Fame, and was awarded the Peter J. O'Connell Lottery Lifetime Achievement Award in 1997. Dr. Stanek is a former director and chairman of Iowa's energy agency and a past director of Iowa's policy planning agency, which provides economic and financial projections for the State.